After delaying their plans of introducing a diesel run compact car in India for more than 2 years now, the Japanese auto giant Honda motors has finally decided to introduce a new compact small car with diesel engine. 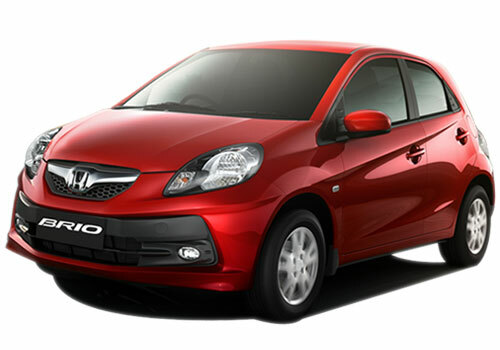 Named as Honda Amaze, the new diesel run compact car is based on company’s popular Brio model. The car will be rolled-out in the country in year 2013, which will be followed by the launch of a diesel run sedan based on Honda City by year 2014. The Honda City based sedan will be powered by 1.5 Liter i-DTEC turbo diesel engine and the same engine is expected to come equipped with a new Honda MPV (Multi Purpose Vehicle) which is also expected to be launched in the country in the coming years. Moreover, the company will be producing this engine at their Tapukara plant in Rajasthan. As per the industry reports, the company is expected to keep the cost of production this diesel engine very low by using a high level of localization content. At present, Fiat’s 1.3L Multijet diesel engine is the most preferred in the Indian market, which coming loaded in a number of popular cars like Maruti Swift and Chevrolet Sail U-VA. Thus, with the launch of new more powerful and bigger 1.5 Liter i-DTEC turbo diesel engine, the Honda diesel engines would be directly competing with this powerful engine. The major competitors of the Honda Amaze model in the Indian market include Maruti Swift, Ford Figo, Skoda Fabia, Volkswagen Polo and Fiat Punto. Overall, the new Honda diesel engines will be powering as many as 6 portfolio models of the company in India. It is widely expected that the entry in the much in demand diesel car segment, Honda Motors will not only give a tough fight to the other car makers, but will also be able to raise their market share significantly.